Wireless security alarm systems are far easier to install than conventional wired alarm systems, making them a cost effective solution to home security. There is no need to run metres of wire around loft space, walls, and outside your home or office, as the wireless components all communicate with each other via a similar technology that runs your wi-fi computer. With our wireless security alarm systems, when the alarm is triggered, it will contact up to 6 preset phone number and 3 preset SMS numbers, together with activating the wireless sirens. This system can be incorporated with our CCTV systems to allow you to view your home on your smart phone or tablet and enable you to enable and disable your alarm from wherever you are and use your phone as a two way intercom to your alarm keypad. Extra motion sensors can easily be added at any time to extend your system throughout your home. 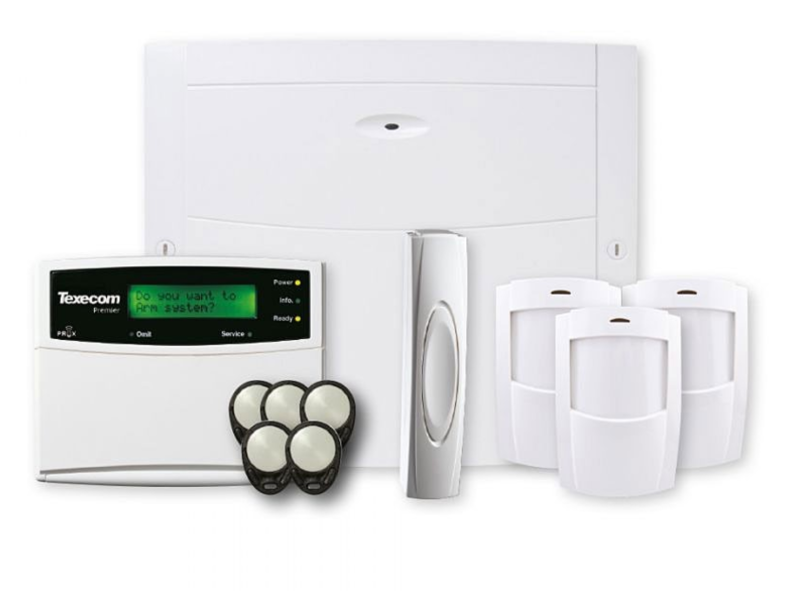 Wired alarm systems are thought of as more permanent and reliable in their design. There are no wireless dropouts, limitations between floors and walls, and the cabling ensures a permanent sure connection to the monitoring unit at all time. The cabling can also be run and operated over longer distances than with wireless systems.